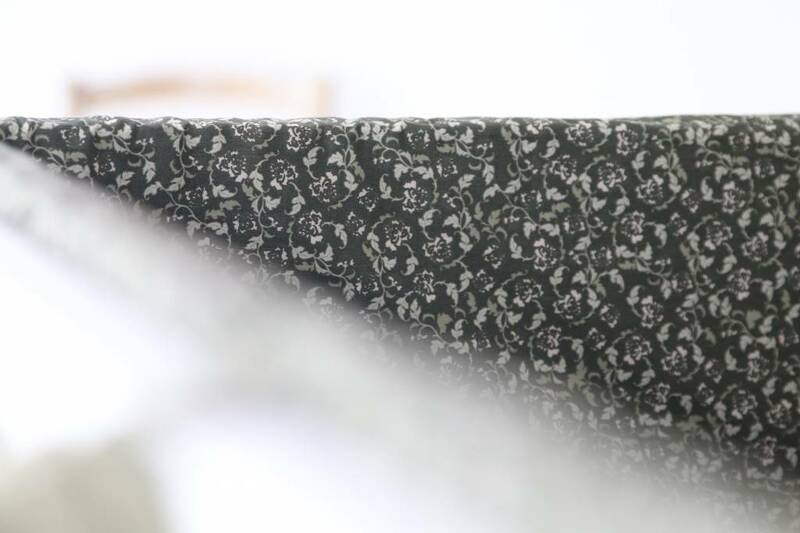 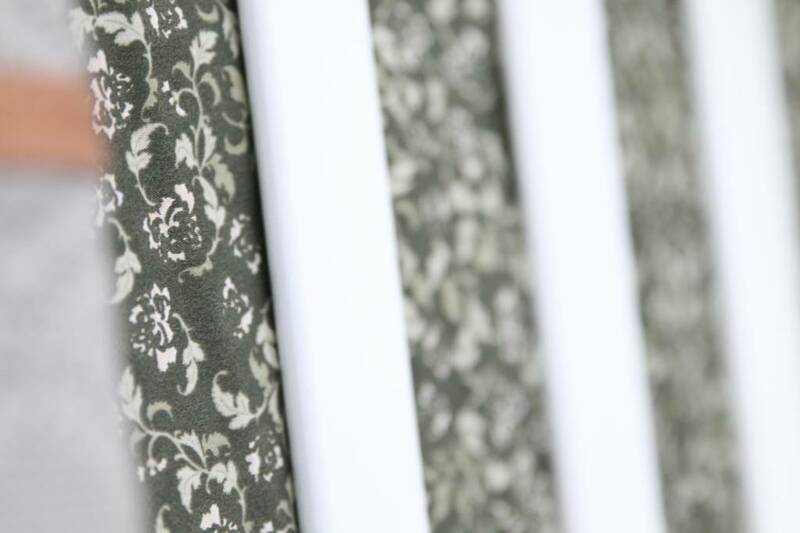 Floral Moss pattern is inspired by the scene of a Wes Anderson movie, a director admired for his iconic style in film. 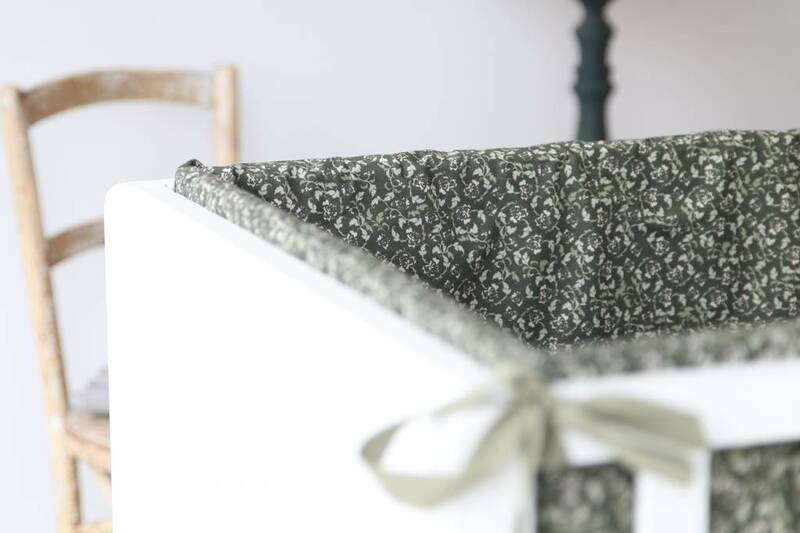 It is the same pattern as the Floral Vine pattern where the pattern is very clear, but here we have applied an artists lets see what happens if we do this and it is beautiful result when we let the dark green base absorb a lot of the outlines in the original pattern, leaving petals and leaves in a beautiful mixture. 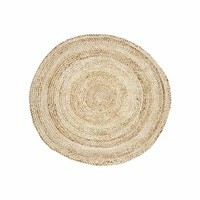 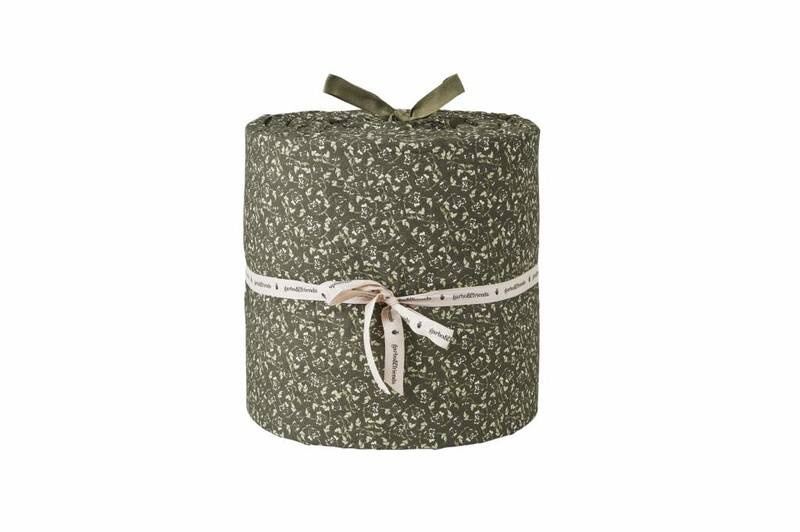 The base is a dark moss Green with off white petals and leaves in two shades of light green. 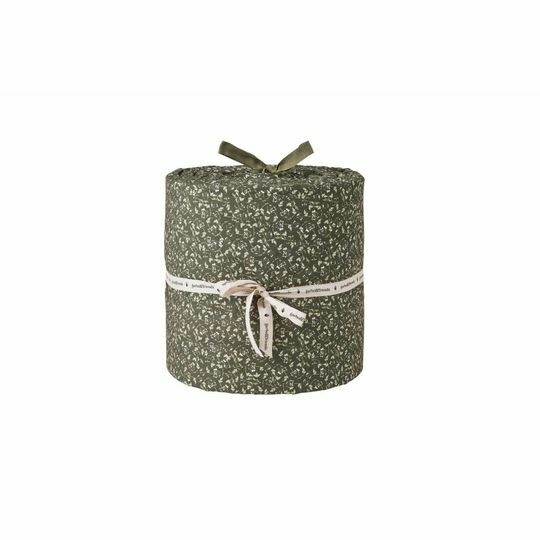 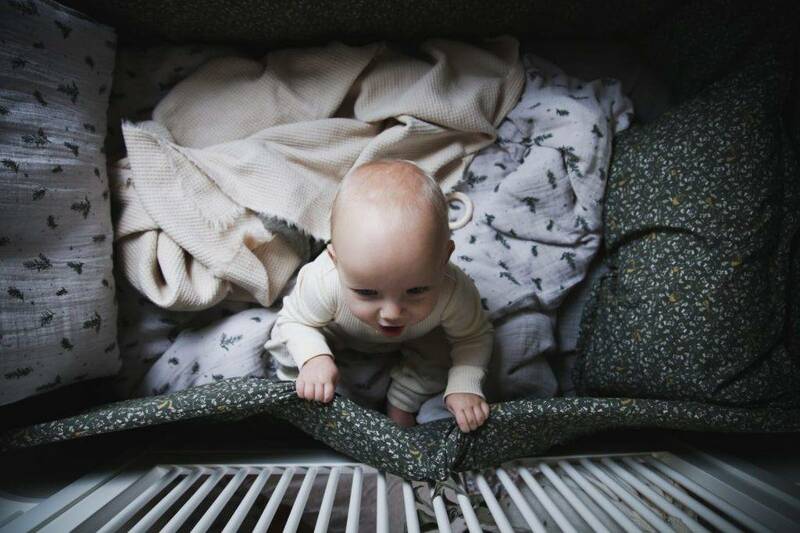 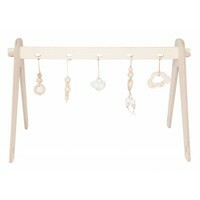 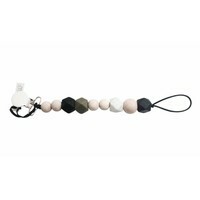 Garbo&Friends crib bumpers are made from 100% Cotton Percale and filled with a sturdy OEKO-tex certified foam, making it difficult for even the most active little one to get a hand or foot in between the bars of the cribs. 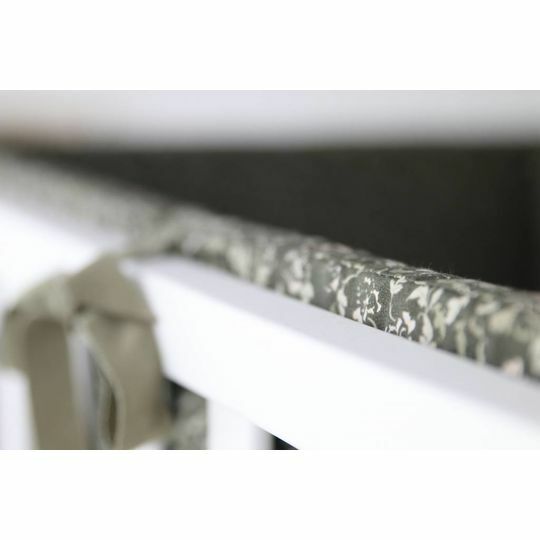 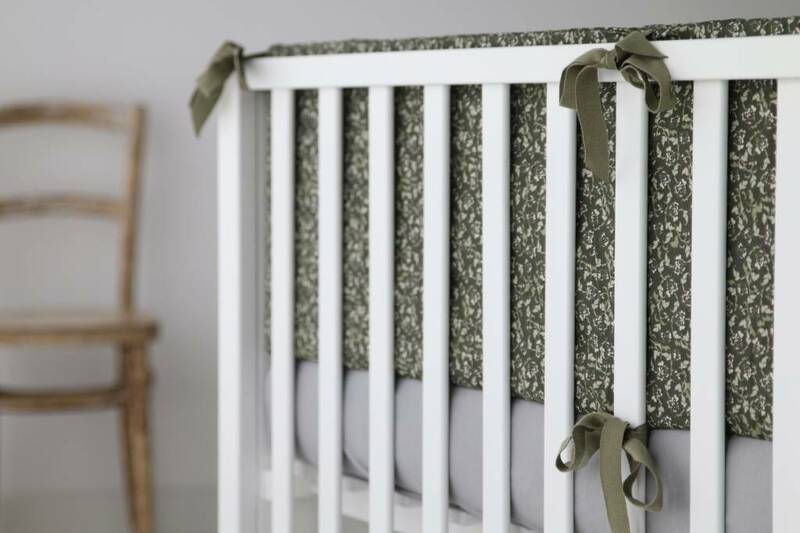 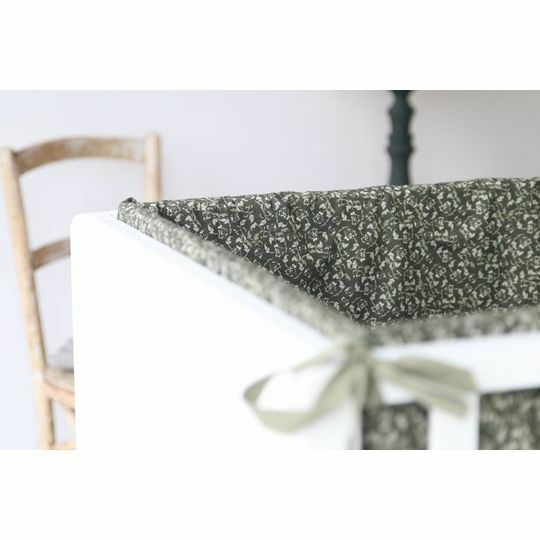 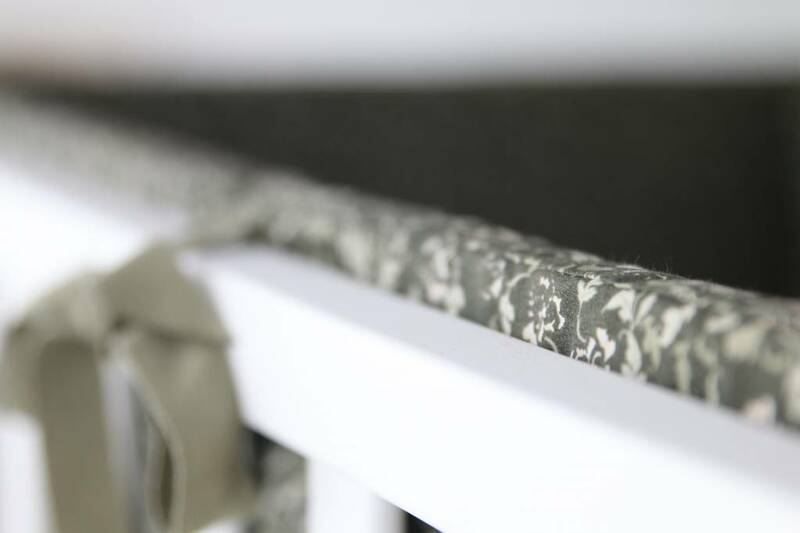 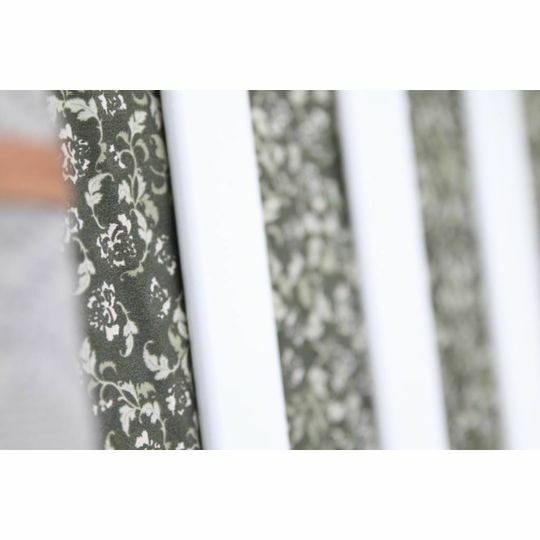 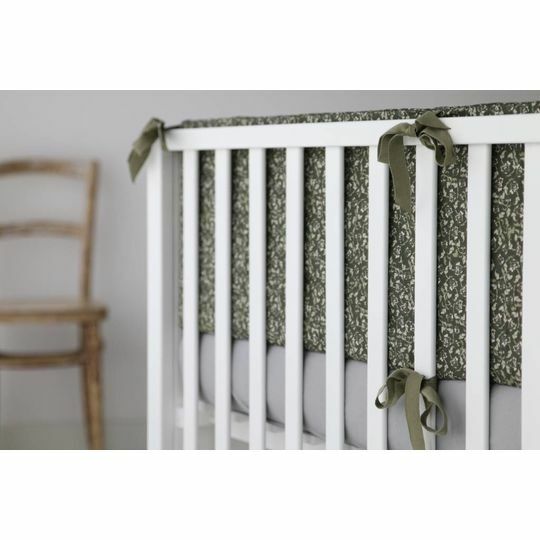 Our bumpers have large herringbone ribbons for you to be able to tie handsome decorative bows on your crib.